Magic Carpet Cleaning is a company offering wide range of professional cleaning services in South London at really affordable rates. Our team of certified carpet cleaners can help you with any stain or extract the dirt from your upholstered furniture, carpets and rugs. Our ultimate aim is to satisfy your highest expectations. This is why we offer 100% clean guarantee – our cleaners do would not leave your home unless you are satisfied by the results! Get in touch with us now and call 0208 861 0979 or fill the form below and have your persian rugs and home carpets perfectly cleaned. 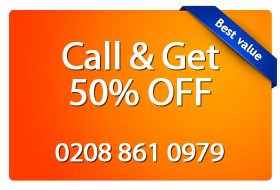 Why Choose Magic Carpet Cleaning in South London? We use the latest methods for washing all surfaces, ensuring you get the highest quality cleaning services in London! We at Magic Carpet Cleaning care about your safety so we use only green cleaning materials, harmless to you, your children and the environment. You can be sure that you will not find any hidden additional conditions and fees. Old and stubborn blemishes – will be handled by our experienced cleaners in no time! We offer 100% clean guarantee, we do not leave unless you verify that you are satisfied with the results! Full coverage of all South London areas – our cleaners will be at your doorstep in matter of few hours . Steam Carpet Cleaning is a cleaning approach suitable for homes with children and pets. This method, known also as hot water extraction, uses detergent injected under high temperature that is then sucked out along with the mud and dust. You will see how the spots and soil disappear without a trace. Moreover, all microbes are destroyed which means an end to allergies caused by dirt and dust. You have the feeling that no matter how much you clean your office the dust is still there? This is not a problem anymore. Here comes the dry compound cleaning method. Thanks to this cleaning treatment, you don’t have to close your office or store because it does not require drying time. The dry compound cleaning approach doesn’t use water so you and your customers can walk on the carpet immediately after cleaning. It is the ideal solution for big business buildings, office spaces, stores, banks and other premises visited by many people. We totally understand how much discomfort the spots and dirt can cause. We know what it feels like to be surrounded by purity and we do our best to achieve it. Magic Carpet Cleaning removes stains from your walls, floors, windows, carpets and furniture. You can say goodbye to the blemishes in your office. Stains from pet urine, chocolate, coffee and other stubborn spots don’t have a chance with us! Our cleaning experts undergo specialized trainings and have certificates from the leading training bodies in our industry. They deal successfully with all kinds of contaminated fabrics, whether natural or synthetic. Call to our cleaning experts Now and get a free estimation on 0208 861 0979! Bring the purity to home and office space!